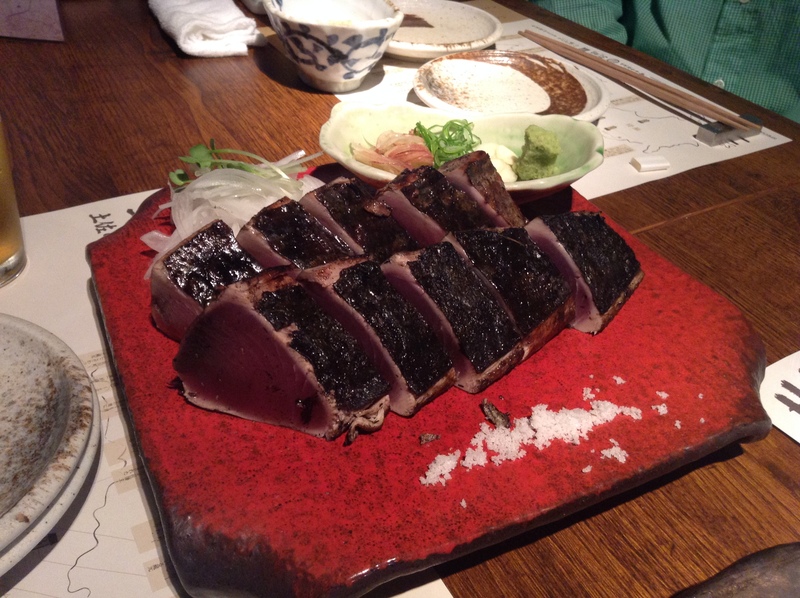 Some of our personal favorites include ayu (salted and grilled), shitabirame (meuniere), shijimi (miso soup), benisake (salted and grilled), and for sashimi – surumeika, kinmedai, takabe, and isaki. 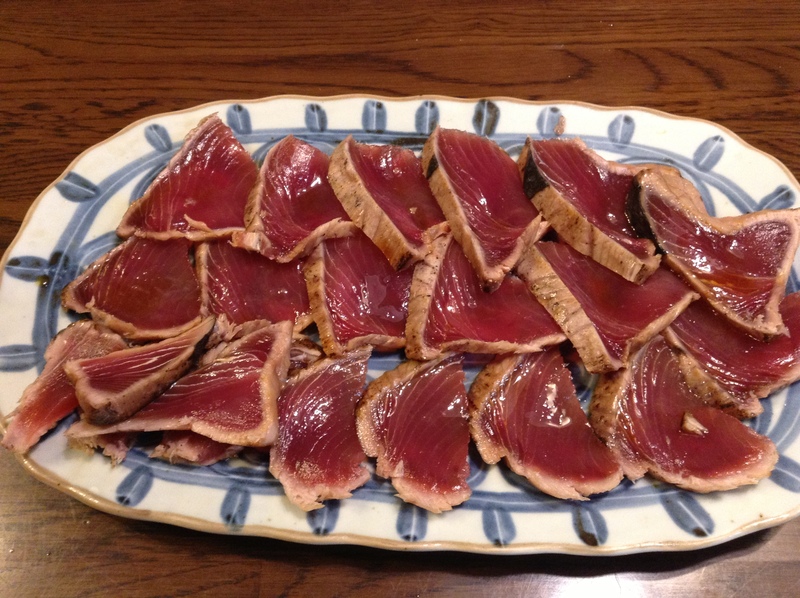 Mejimaguro めじまぐろ young tuna (genus Thunnus) if it is a young bluefin tuna it will be called honmeji, if it is a young yellowfin tuna it will be called kinmeji. The cherry blossoms have peaked in Tokyo as the weather has warmed up. 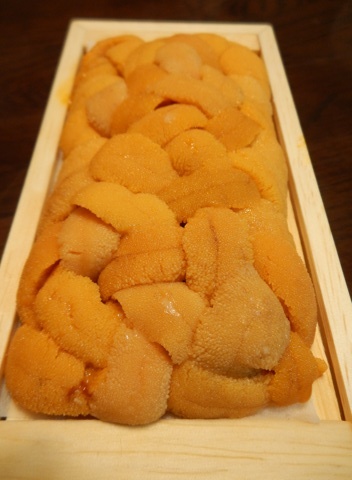 This time of year we are seeing the last of the creamy shirako (milt) that we love so much as well as many fish eggs. The nabé hot pot is put on the higher shelf in the kitchen as we are not using it a few times a week as we were just last month. 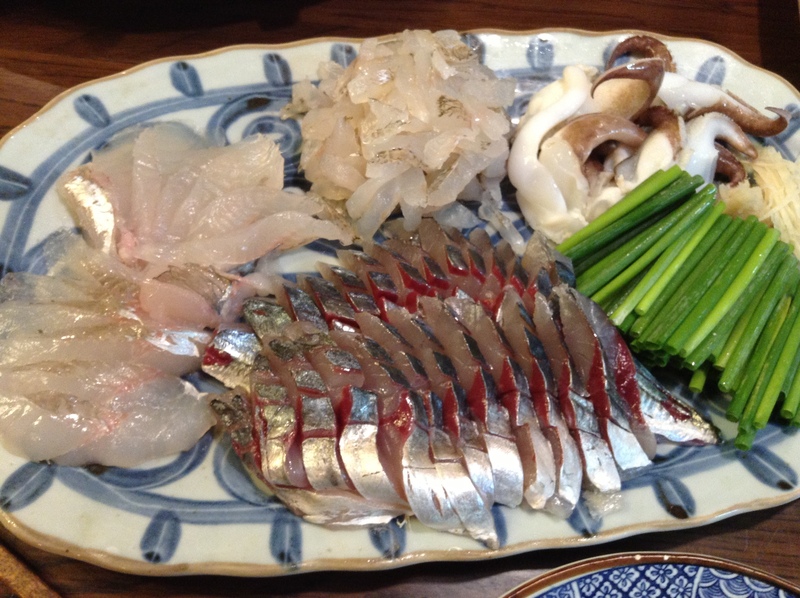 Being married to a Japanese fishmonger we eat a lot of seafood, from our breakfasts, usually with a grilled fish like a salted salmon or a himono (salted and air-dried fish) and seasonal sashimi at dinner. 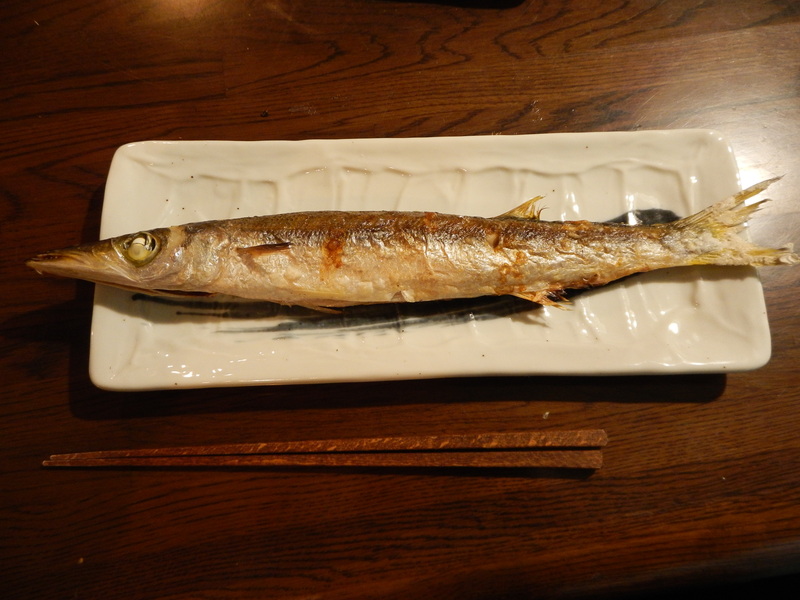 Here are some of our favorite dishes this time of year followed by a list of Japanese seasonal seafood you’ll come across if visiting Japan in April. 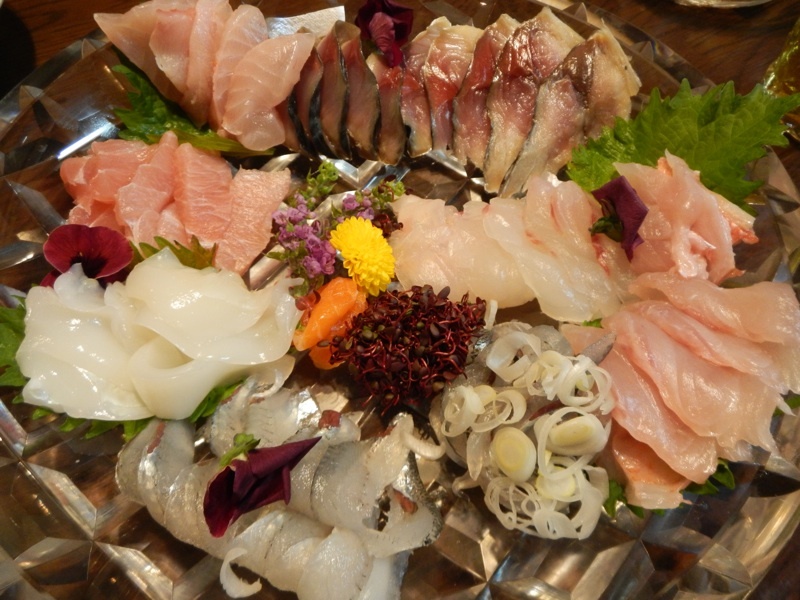 There is so much to love about Japanese seafood in spring. 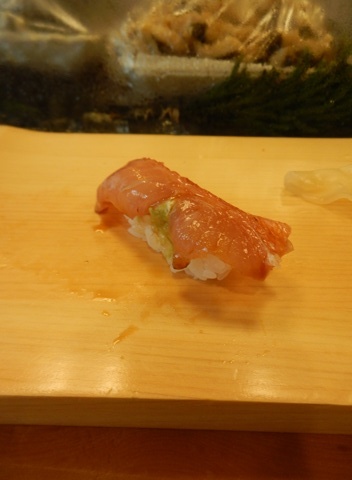 In particular, there is a a pink-fleshed kinmedai (splendid alfonsino) that has a supple texture which is spectacular as sashimi or sushi. 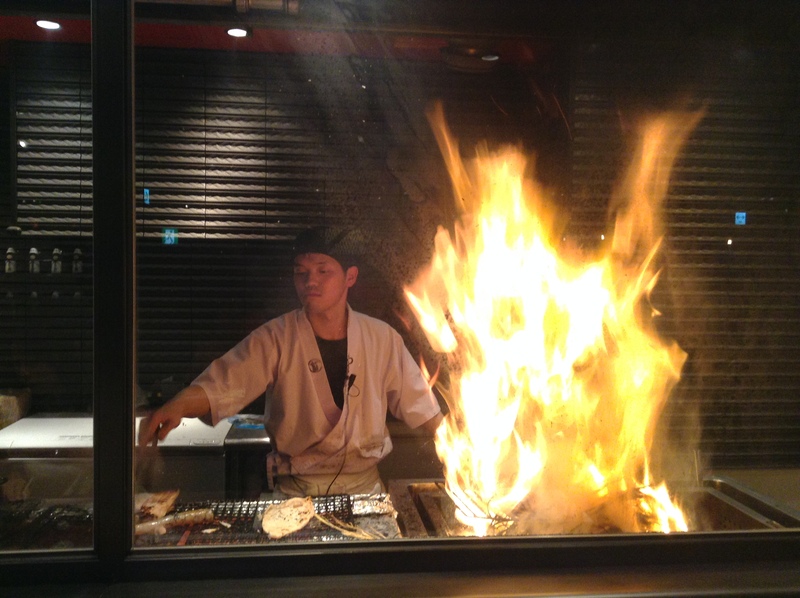 If you are lucky the sushi chef will just sear it to bring out a unique texture and aroma. 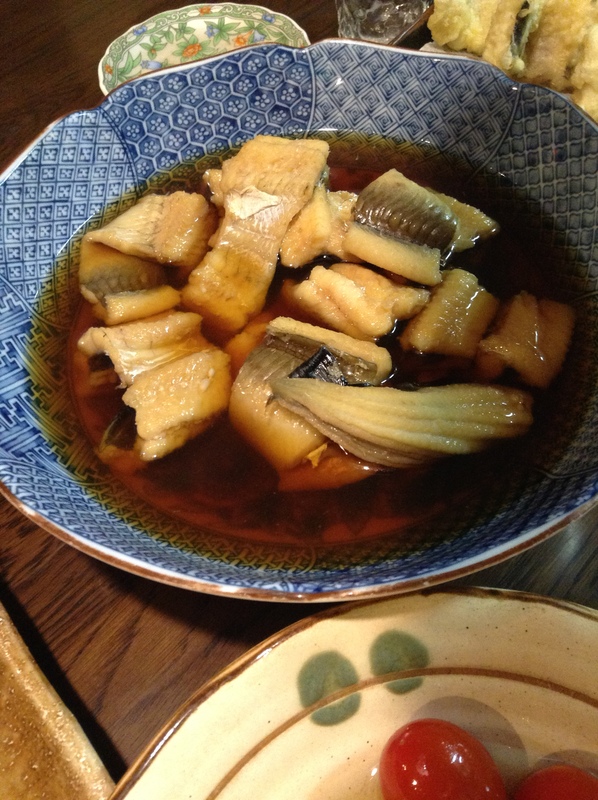 Kinmedai is also often served as nitsuké, simmered in a sweet soy broth until just cooked through. 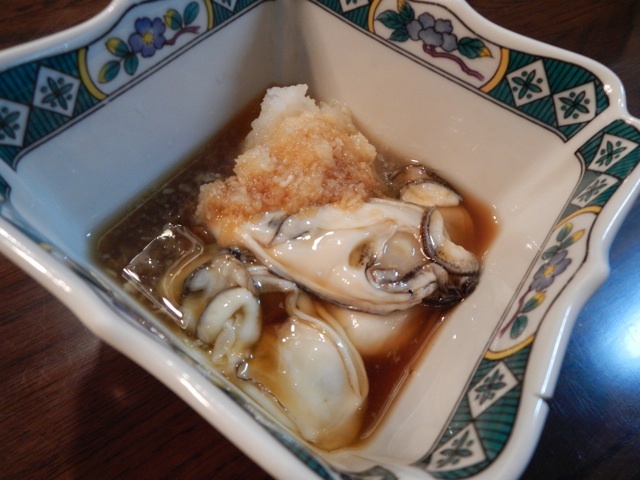 In Japan, look for kinmedai from the port of Choshi in Chiba as it is line-caught and harvested in shallow waters so it is rich with fat. 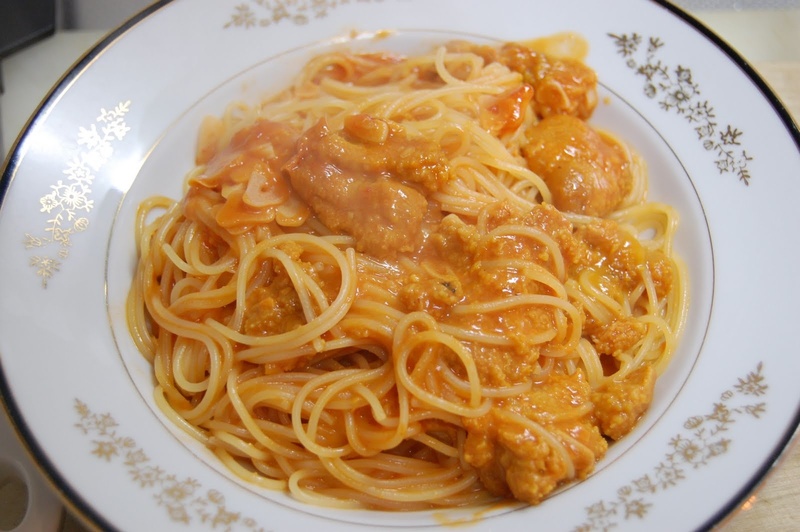 Uni on its own may be hard for some to swallow, but once it is cooked with garlic, olive oil, and tomato paste and topped over pasta it becomes a luxurious lunch. A very easy dish that anyone can whip up in minutes with this recipe. 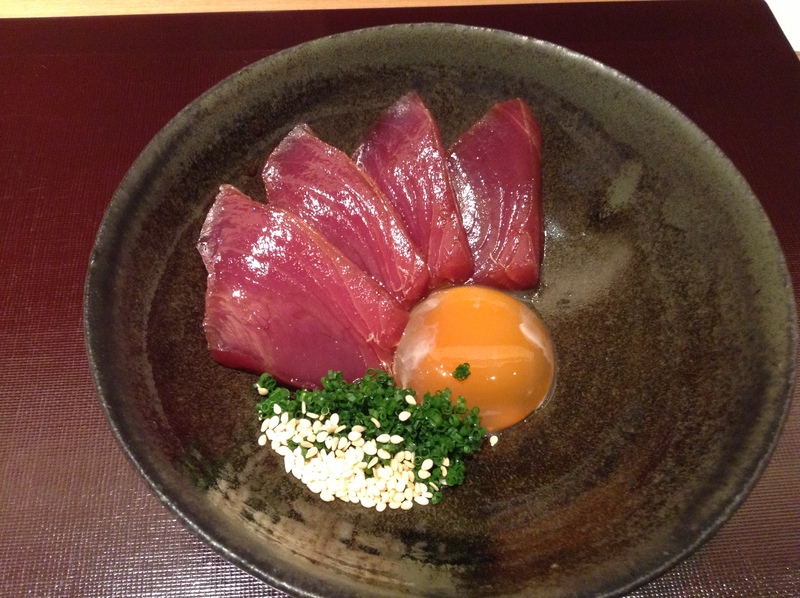 Katsuo is in season in the spring and then again in autumn. This time of year it is lean, while in fall it is rich with fat. 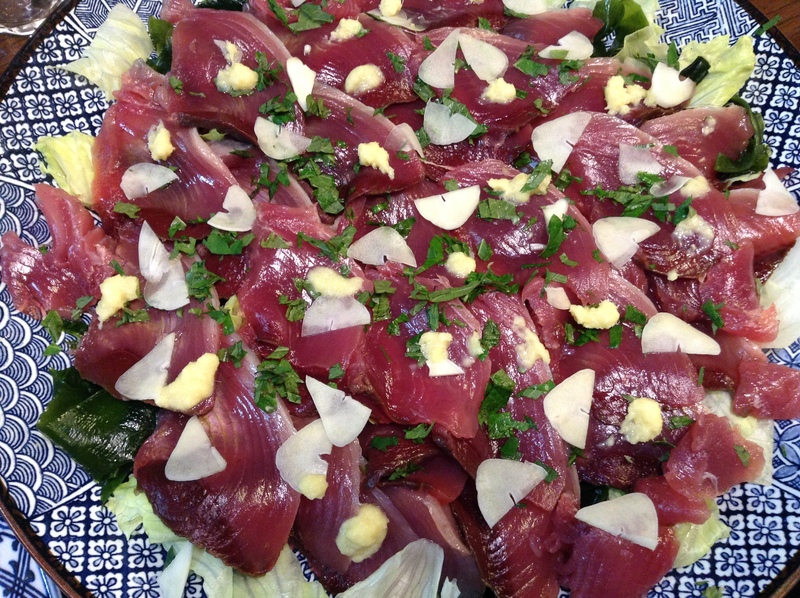 We love it this time of year as sashimi. 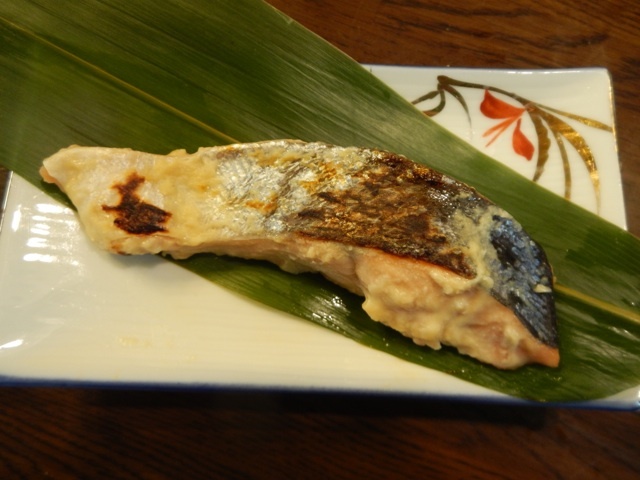 Madai (sea bream) is available all-year long as it is a commonly farmed fish. 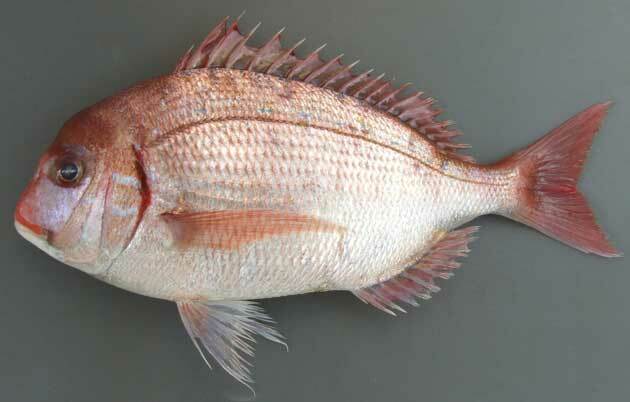 But, this time of year we can get wild madai that has a better texture than the farmed fish which can be flabby. 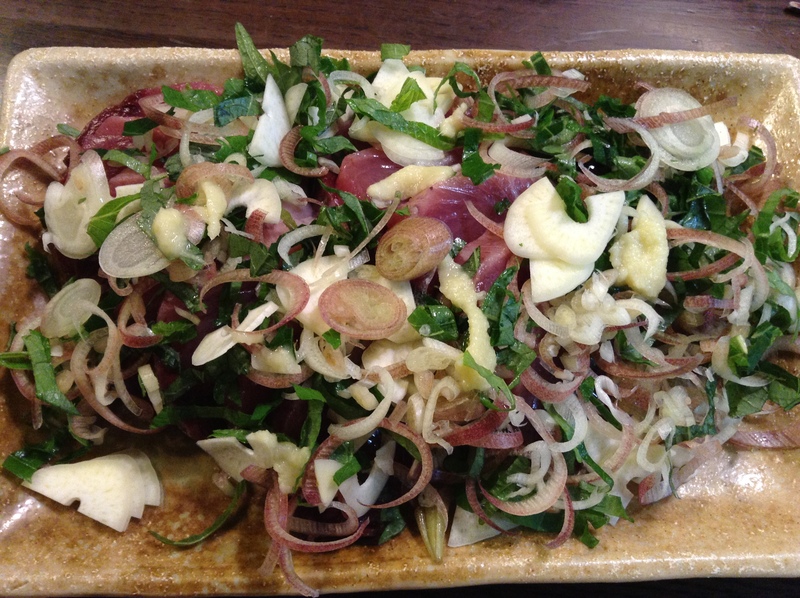 We love the wild madai for a simple carpaccio (above) topped with shiso, myōga, benitadé, and chives. Myōga is in the ginger family and adds a fresh pop to the dish, shiso adds a minty aroma, and the benitadé adds a bit of pepper. Shinji also loves the honmasu (cherry salmon) this time of year. 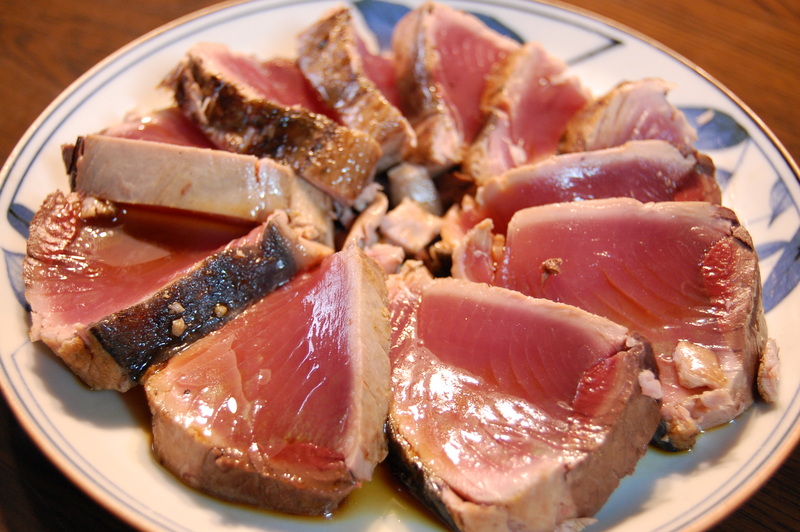 Here he marinates it in a sweet Saikyō miso marinade overnight and then grills it. 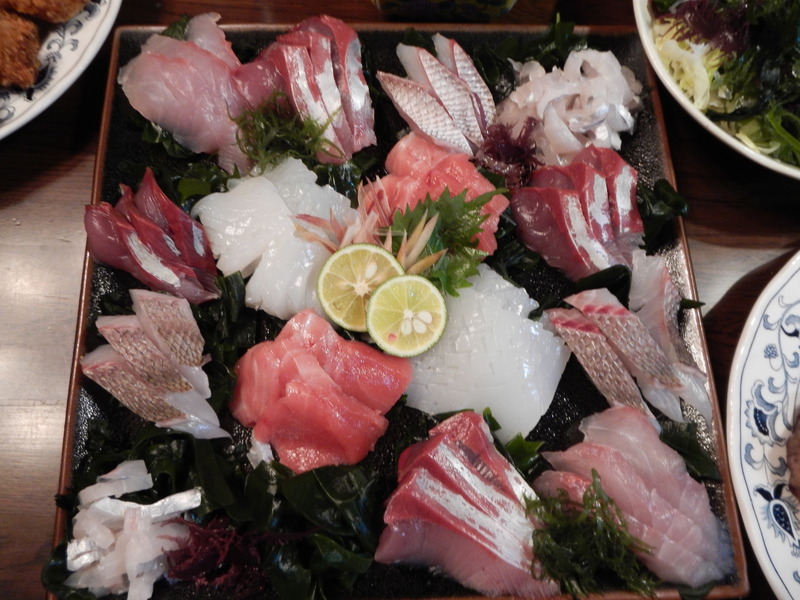 Most of the Japanese fish names are linked to a photo of the fish. 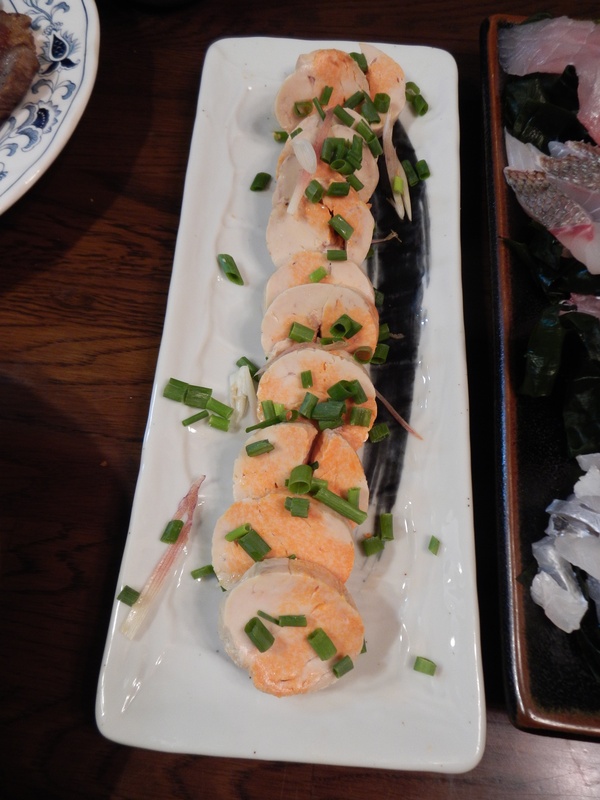 Autumn is a great time for Japanese seafood as a lot of the fish are rich with fat. 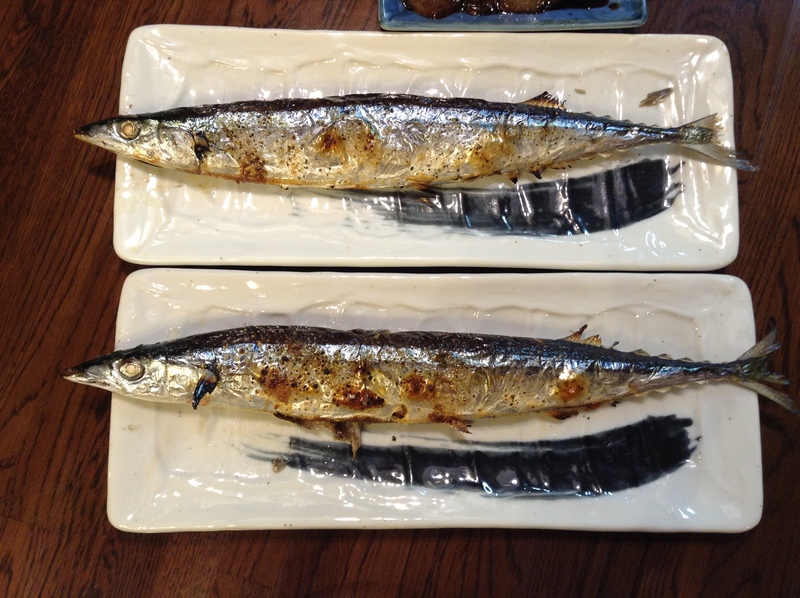 This time of year we love sanma, both as sashimi, or simply salted and grilled. 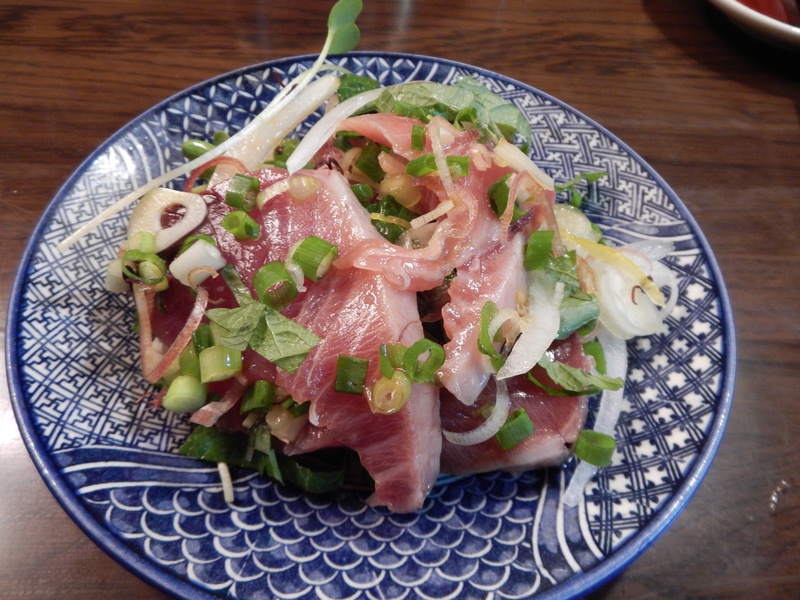 Katsuo done tataki-style, seared on the outside and rare on the inside, calls out for some shochu or nihonshu. 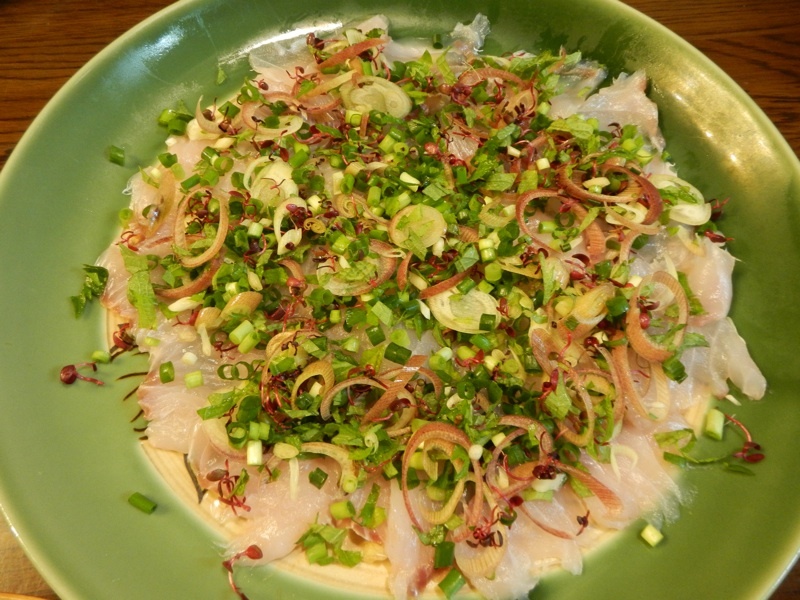 And when it gets really cold, Shinji loves kanburi, or the winter buri (Japanese amberjack) rich with fat and as sashimi. This list of November seafood is short as I don’t have a lot of time at the moment, but I do hope to update it later this month along with links to photo of the seafood.